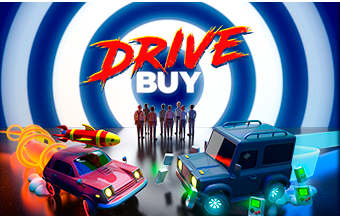 Drive Buy is fast-paced online car combat game, with a twist. In Drive Buy you and 3 others work for BUY CORP and must strategically race to sell the most BUY CORP products to customers brainwashed by hypnotic screens around the city. BUY CORP are an evil corporation (of course) and despite being the number 1 retailer in the world, their EVIL CEO is still not satisfied — he wants MORE. By enlisting 4 delivery drivers and a giant blimp full of BUY CORP products, the lofty of goal of “MORE” starts to unfold. Hypnotic signals are beamed from the blimp directly to screens that hypnotise people into buying anything. The drivers fight to deliver the stuff and in a mad turn of events, profits for the EVIL CEO are on the rise. During these manic deliveries you must outrun your rivals if you want to earn cash. Too slow? You won’t earn anything. 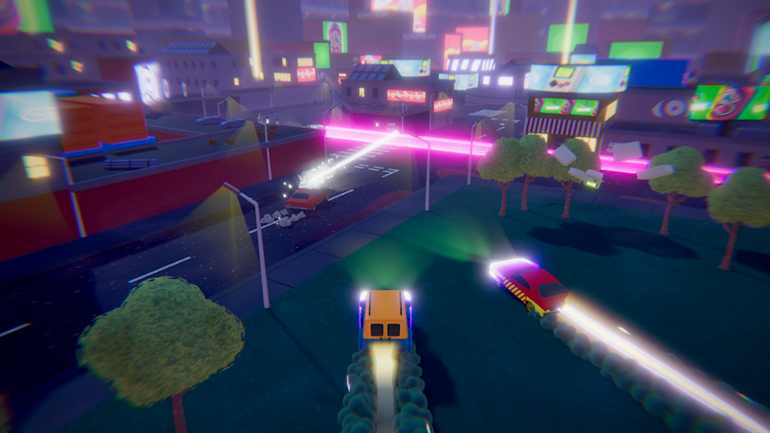 Drivers often take matters into their own hands by destroying the competition with power-ups and stealing their credits to win the match. It’s dog eat dog! It’s dystopian! It’s the cruel zero hour contract future of the gig-economy! Drive Buy’s motto is “Deliver or Die!” and it delivers just that. It’s as if Mario Kart Battle was set in a Black Mirror world. We’re really excited to let you play Drive Buy so we’ve been hard at work creating our first ever multiplayer BETA that we can invite you to. Before we could let that unfold, we needed to test the game with our brutally honest game designer friends. The ones who look at us sideways over a pint and slowly ask us the awkward questions “What the hell is this?”. 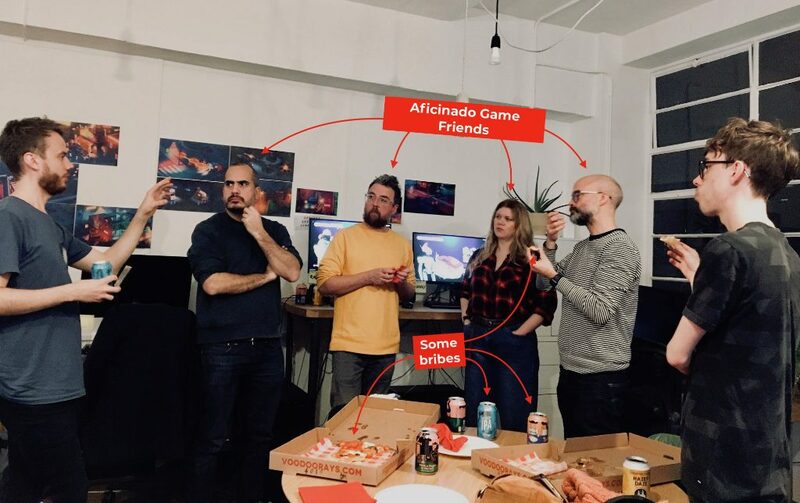 We assembled the most candid aficionados who could be bribed by small cans of beer and pizza slices the size of their heads. With this feedback and more testing we can get you into the BETA fast! All you have to do to get involved is sign-up for our closed BETA and soon you’ll be racing against your very own rivals and competing for BUY CORP’s employee of the match very soon. Share this insider knowledge with your friends on social media and invite them to sign-up for the BETA. We’ll be announcing the date very soon on our Discord, Forum and Twitter.